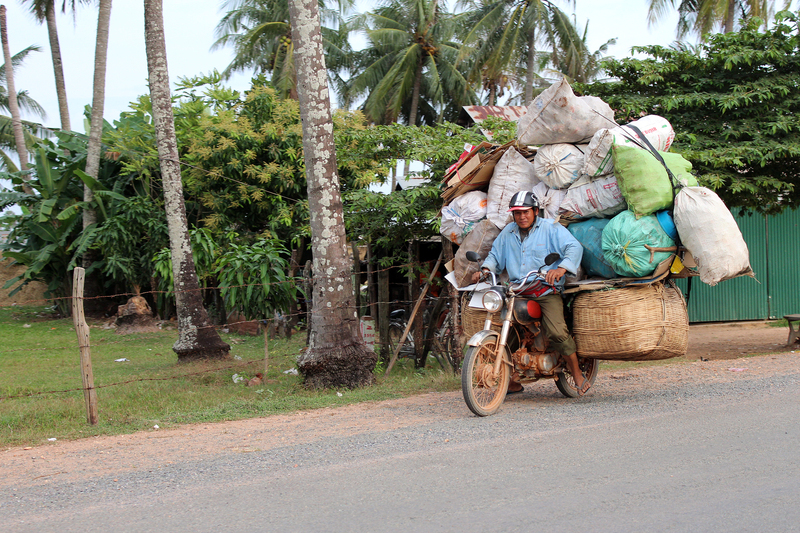 One of the most entertaining and incredible things while in South East Asia was the amount of stuff people carried around on their scooters and bicycles. It’s not uncommon for a family of four of five to ride all together on a motorbike and it’s also not uncommon to see people transporting chickens, pigs, or other animals strapped on the back of their bikes. The photos below are the ones I was able to capture during my time in Laos, Vietnam, and Cambodia. Click on the photos below to zoom in and enjoy these jam-packed scooters in South East Asia!